Cat S60 rugged smartphone launched in India after being unveiled at MWC 2016. The smartphone will be available across all high-end multi-brand retail outlets and Amazon India from Friday, March 17. 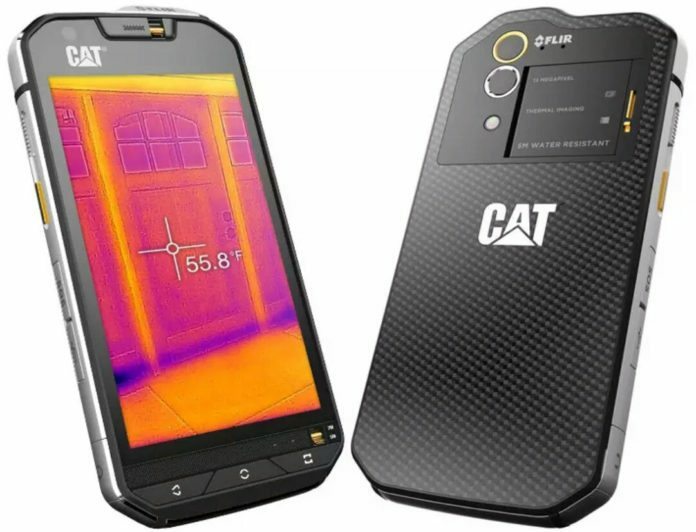 The Cat S60 features an FLIR Lepton Thermal Micro Camera Module on the rear panel and integrated thermal camera. The Cat S60 is waterproof and can resist up to 5 meters depth for one hour. The rugged smartphone can also withstand drops onto concrete from up to 1.8 meters. The dedicated SOS button sends out location coordinates message to pre-programed contacts in any case of emergency. The programmable key can be customized for long press and short press for the quick launch of any application. Cat S60 features a 4.7-inch HD multi-touch 540 nits display with 1280 x 720 pixels resolution. The display provides auto wet finger and glove support and is protected by Corning Gorilla Glass 4 protection. The smartphone is powered by an Octa-Core Snapdragon 617 processor coupled with Adreno 405 GPU. Cat S60 boasts 3GB RAM with 32GB internal storage. The rugged smartphone runs Android 6.0 Marshmallow. On camera font, the device gets a 13MP underwater rear camera with dual LED Flash 5MP front camera. The camera features include dedicated FLIR thermal camera app with MSX technology. Other connectivity options include 4G LTE, Bluetooth 4.1 Wi-Fi, and GPS. The device is backed by 3800mAh battery which delivers 43 days standby and 30 hours of talk time. The rugged smartphone comes in a strengthened die cast frame and measures 147.9×73.4×12.66mm dimensions with a weight of 223 grams. Cat S60 rugged smartphone price in India is Rs 64999.